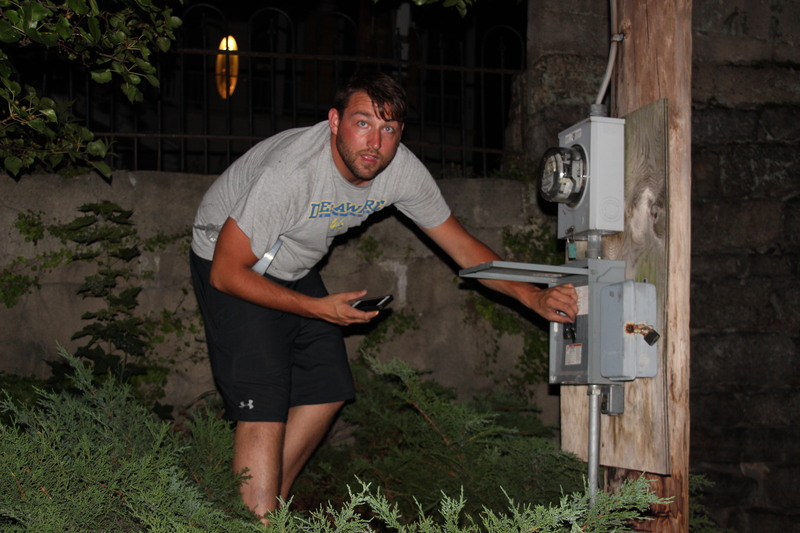 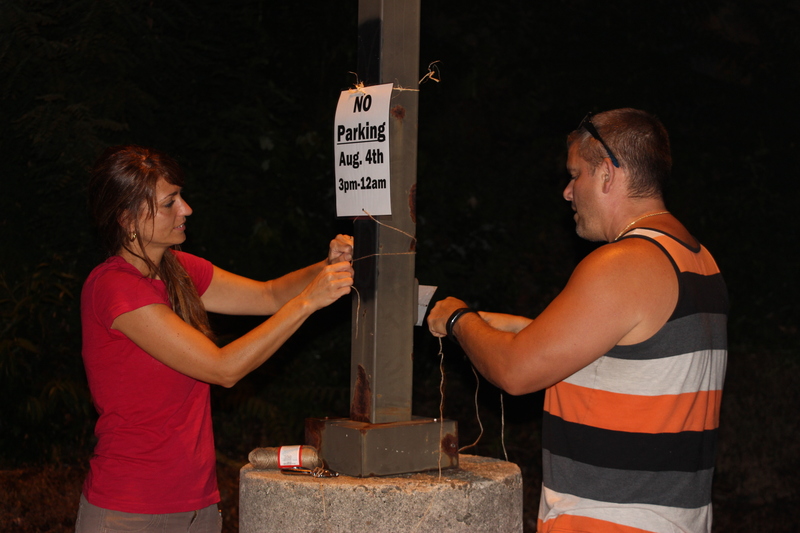 Volunteers are in full force in preparation for tonight’s (Tuesday, August 4, 2015) ‘Dear Tamaqua’ event titled: “Beyond Coal: the angst, the pride – a one-mile multimedia walking experience through the streets of Tamaqua”. 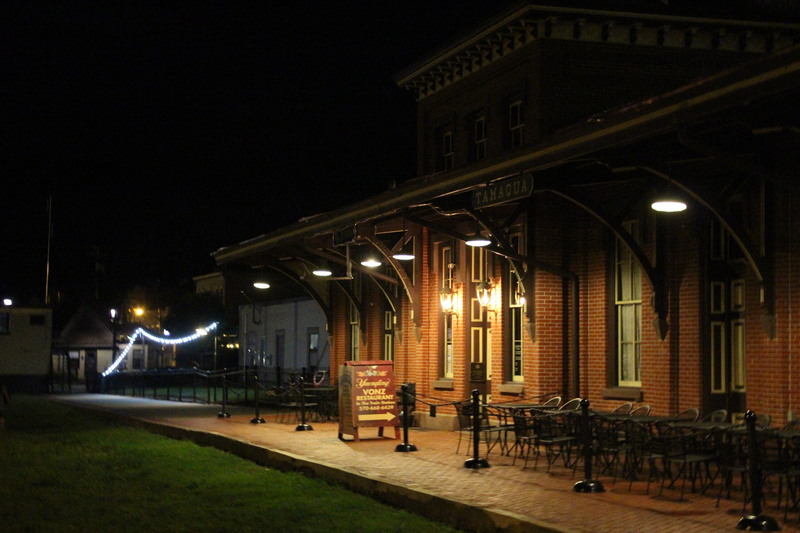 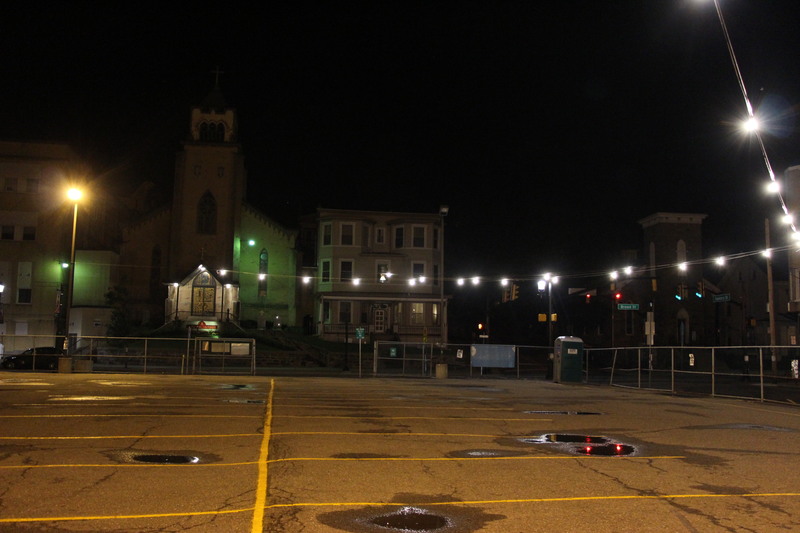 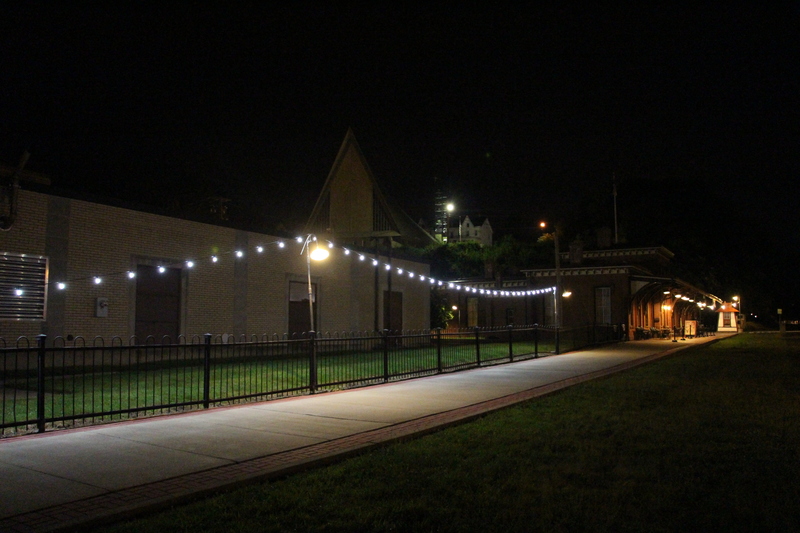 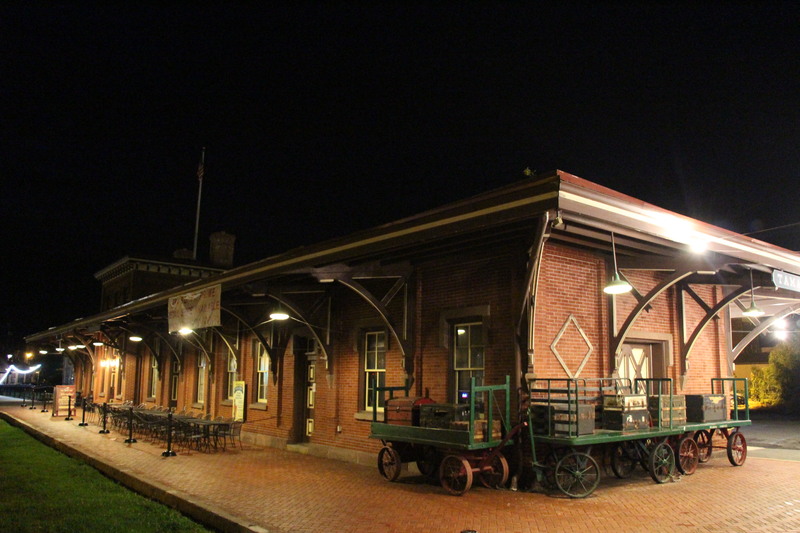 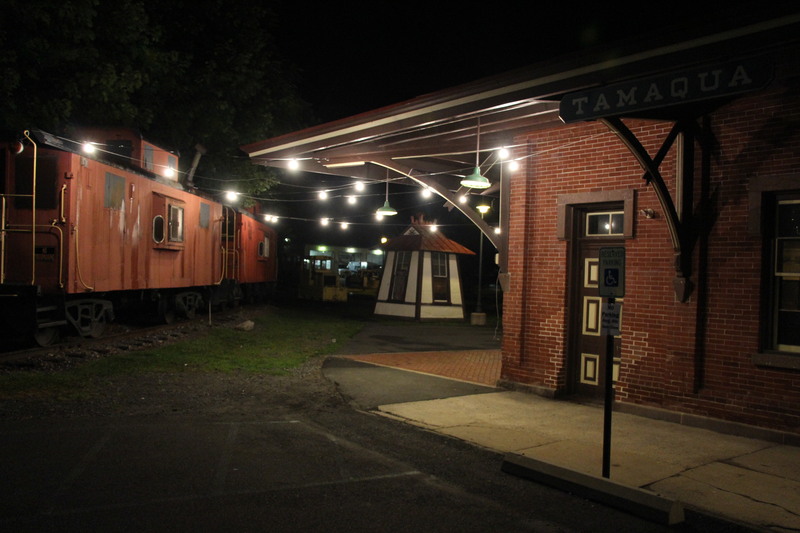 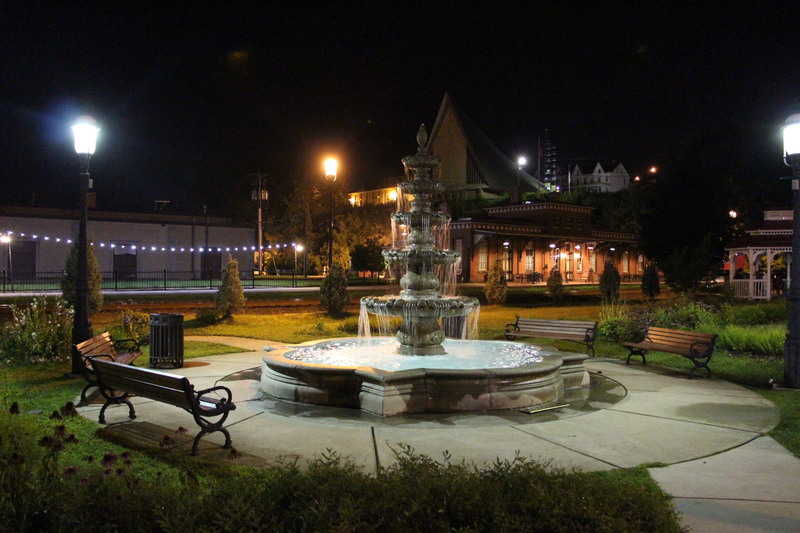 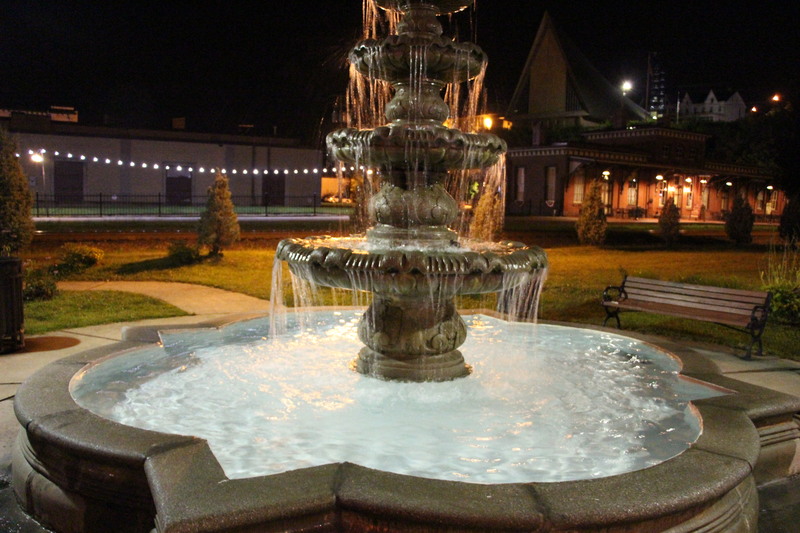 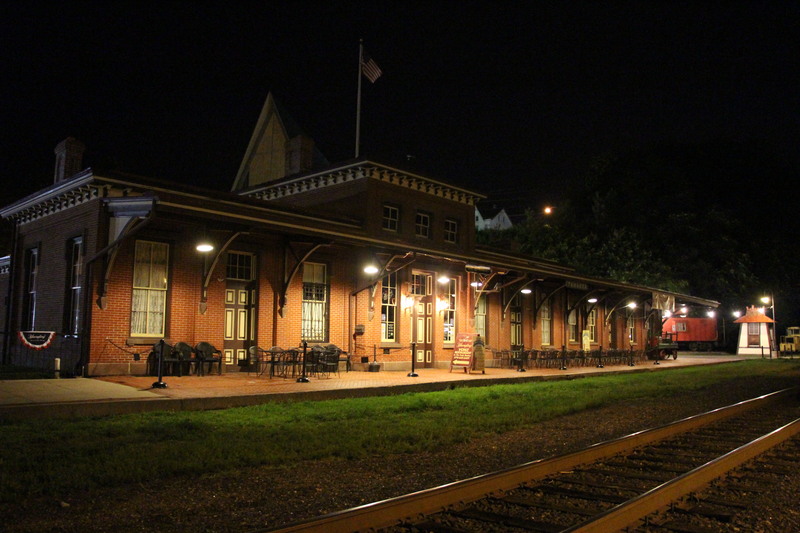 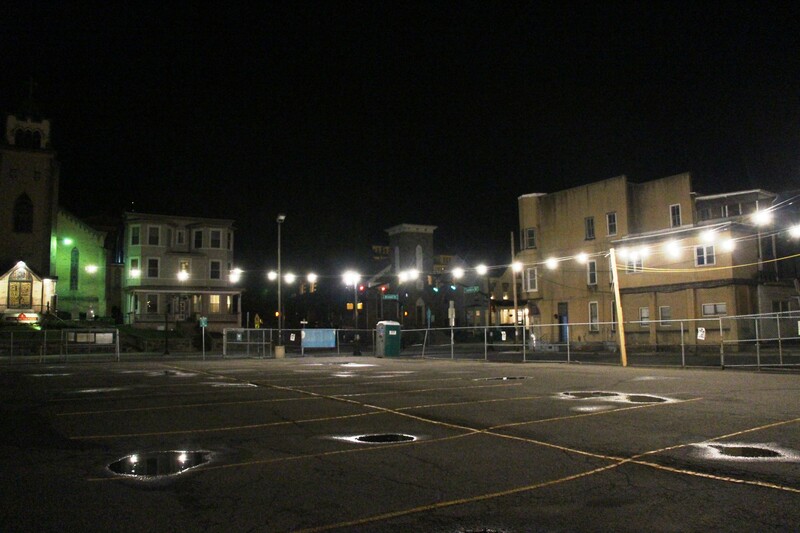 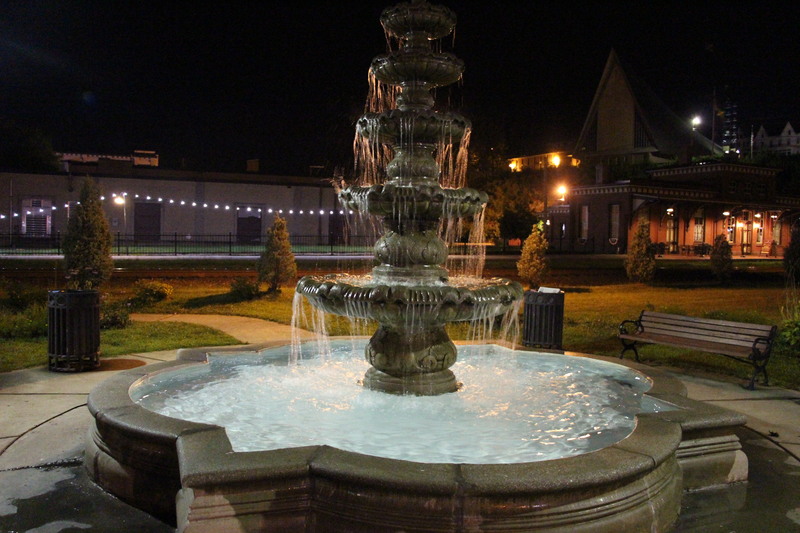 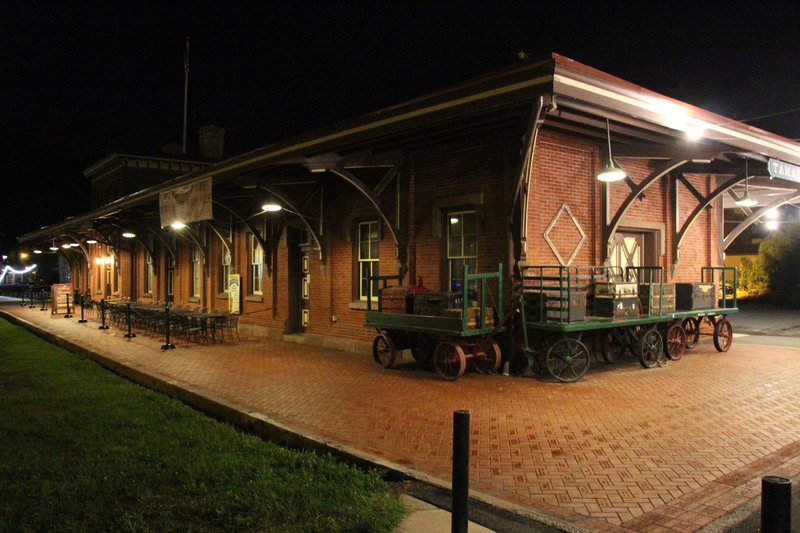 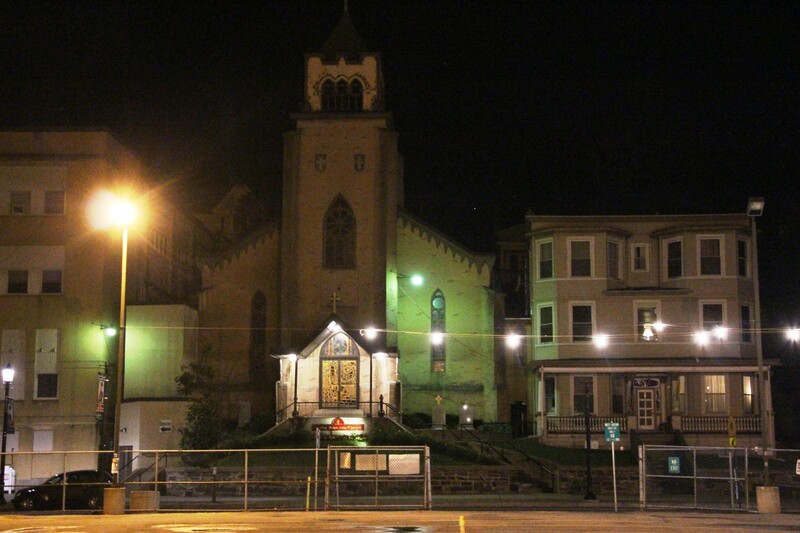 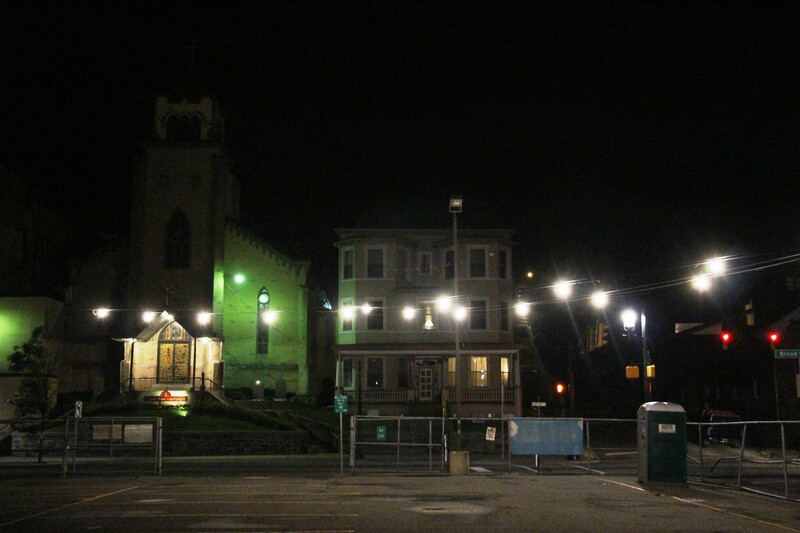 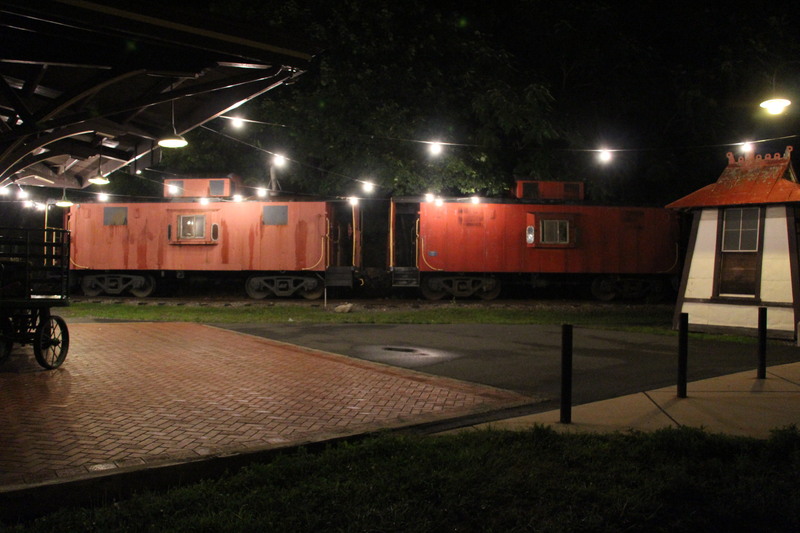 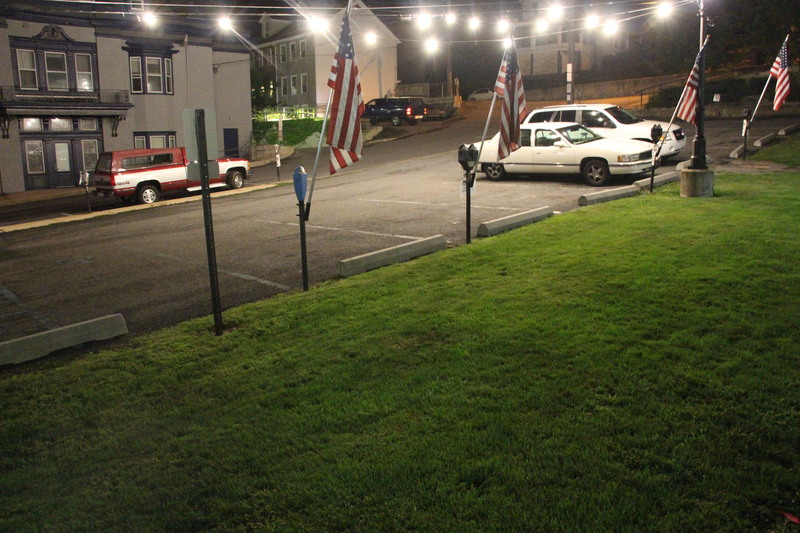 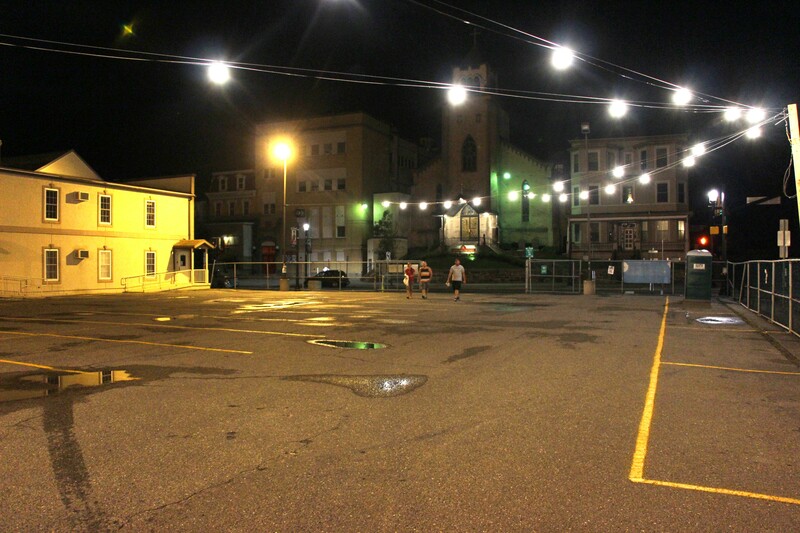 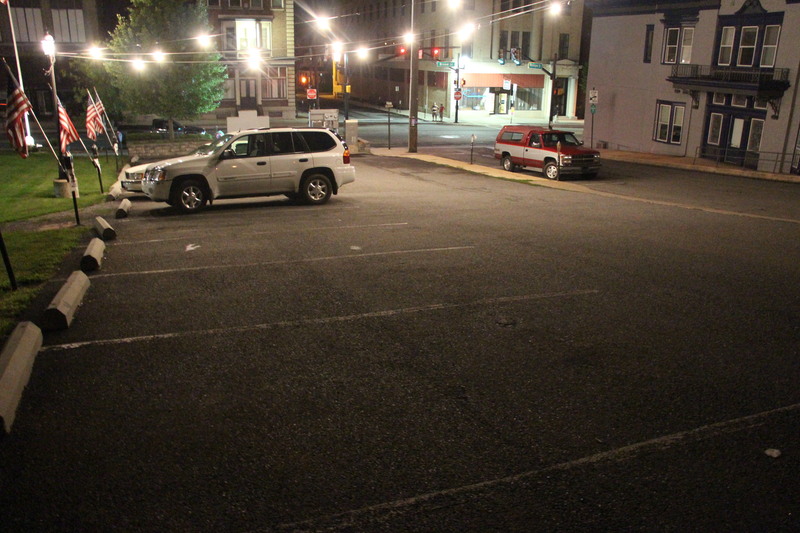 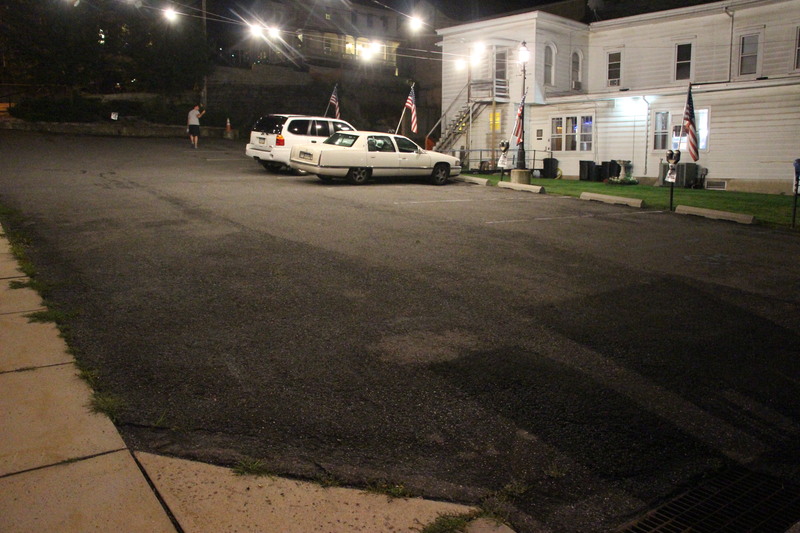 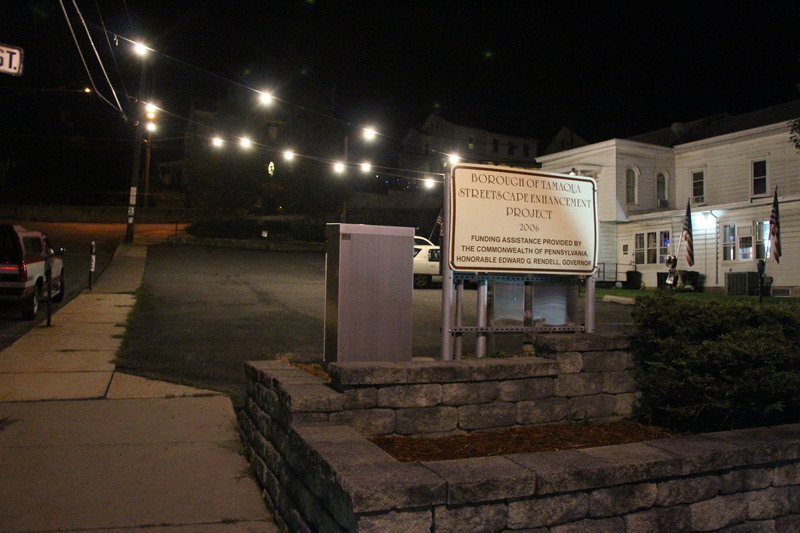 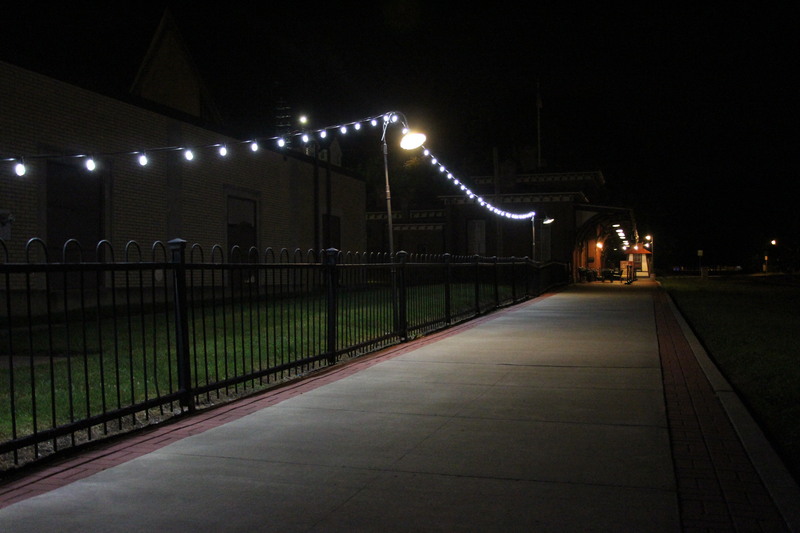 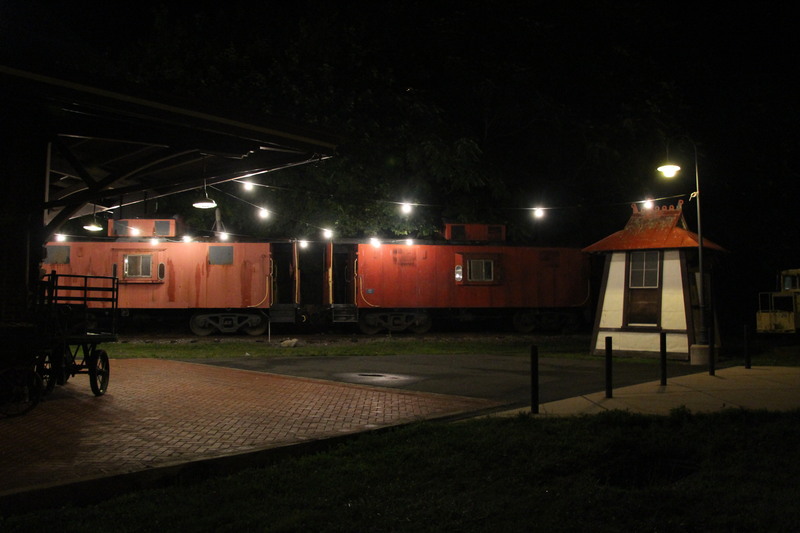 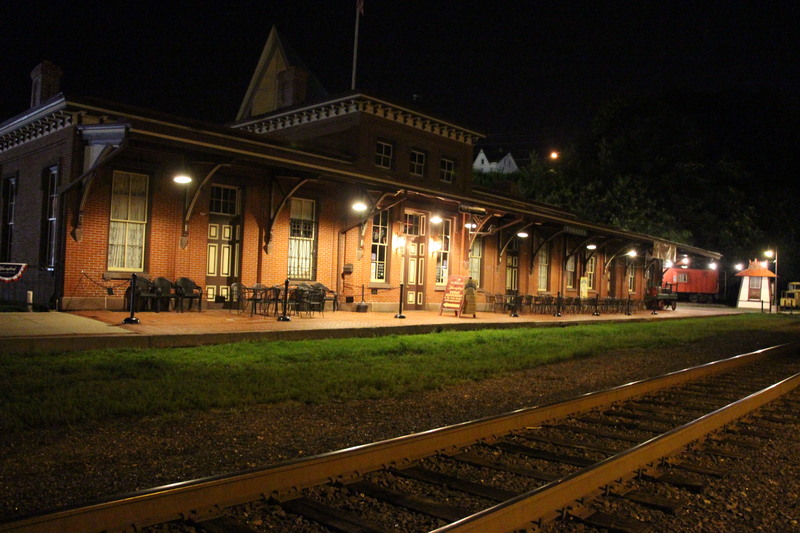 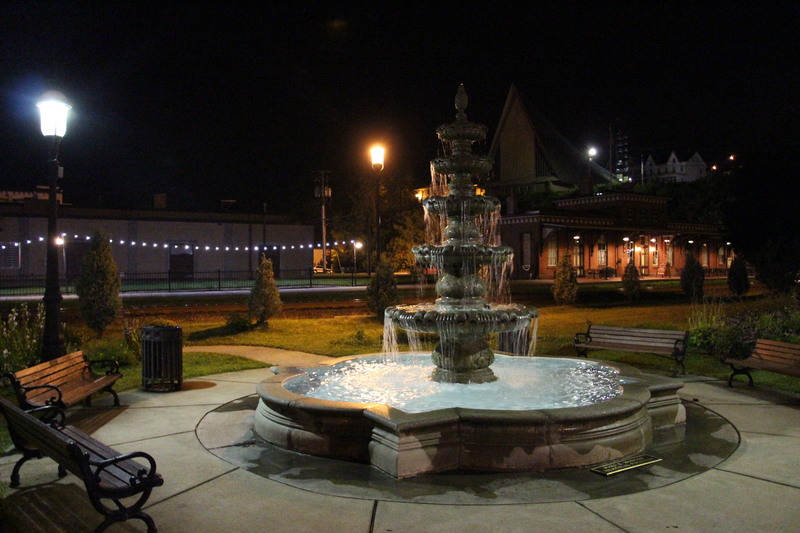 Lights were placed outside the Tamaqua Train Station, American Legion parking lot, St Jerome Parking Lot and other locations. 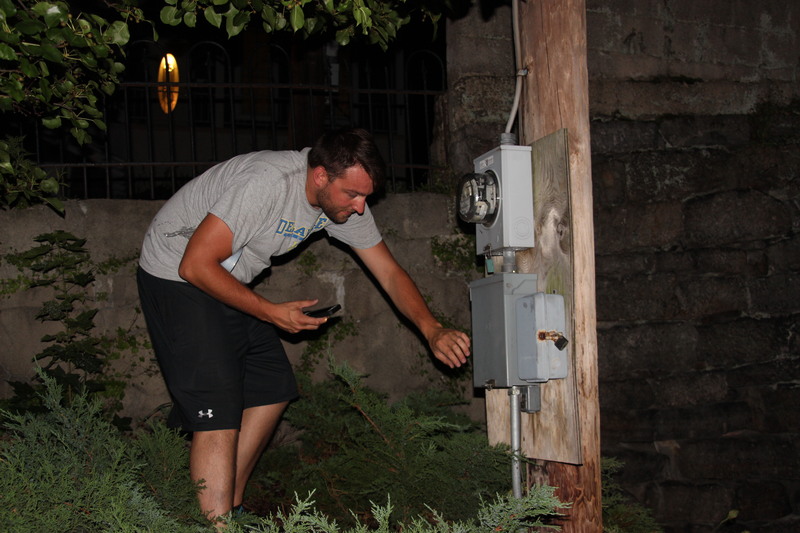 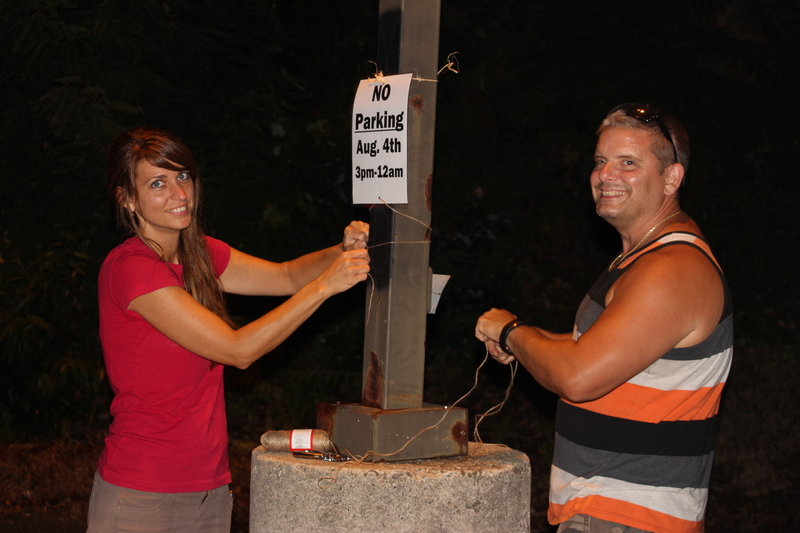 Lighting volunteers were Shanon Rega, Leona Rega, Larry McCullion & Kyle Whitley, L&S Electric, and others.